Designing your weight loss diet is an excellent idea. 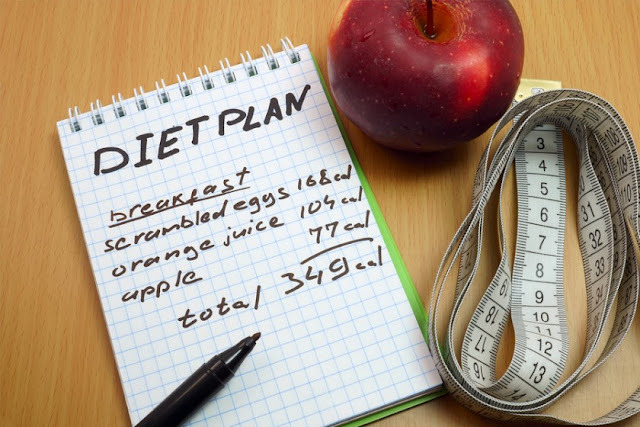 Create a diet plan that is most similar delicious to eat and will help you to lose weight. You may think you need a drastic change; However, it is unrealistic to impose a lot of new regimes that will very rarely help you reach your goal. The idea is to introduce small healthy changes little by little. Yes, this method requires planning and reflection, but it works. 1. Find out what your current diet is. 2. Keep a daily log of your food for seven "regular" days. Use this information to find out what is currently the ideal food for you. 3. In your food journal, you should record what you eat each day. 5. How many calories do you consume on a "normal" day? (Buy a book that helps you count calories, examine food containers or search the internet. There are user-friendly websites that are very useful for identifying some calories in foods, including extras and also In food groups. 6. Add up the calories consumed the seven days and divided them by seven. This will give you an idea of how many calories your body needs to maintain its weight. 7. Design your new diet. 8. A safe weight loss, one that is permanent, is half a kilo per week. Half a kilo equals about 3500 calories. 3500 calories divided by seven days of the week = 500 calories per day. For example, if you consume an average of 2200 calories per day according to your diary, your new goal is 1700 to be able to lose half a kilo a week. Whatever your calculation, never lower your intake of 1500 calories daily without the advice of a professional nutritionist. Instead of consuming whole milk, opt for fruit-flavored yogurt with 2% or 0% fat. Look for low-calorie bread and cereals and lots of fiber. Eat half a hamburger instead of a whole or consume the meat and some accompaniments and leave the bread. A portion of meat should not be more than 100 grams or the size of a deck of cards. Make any sandwich you like, but lower the number of calories by decreasing the portion size or replacing it. Try the mustard instead of the mayonnaise, a pita bread instead of two slices of bread, sprinkled with parmesan instead of cheddar. Half a boiled potato smeared with little calories instead of the whole potato with the usual extras. (The mustard with honey and the dressing of cream of milk with herbs are delicious to accompany the potato). If chocolate is important to you, consume 2 or 3 small chocolates ("kisses") and have each melt in your mouth. This is an excellent dose of chocolate and will only bring you one hundred calories. Lightly salted popcorn replaces any fried potato. It saves many calories simply by changing the way food is cooked. Avoid the fries and lots of sauce. You should prefer roasted, golden, steamed, baked or fresh foods. 10. Check your seven-day record and figure out how many meals you can redesign to satisfy you but with fewer calories. Keep in mind that a healthy distribution of meal types is about 60% carbohydrate, 20% fat and 20% protein. While making the redesign, make changes for vegetables, fruits, and whole grains to keep calories low. Find out which fats are polyunsaturated or monounsaturated (read the package) and change them to the full ones. Look for the proteins of lean meats, fish, and legumes. Walnuts are healthy and leave you satisfied, but a serving equals 160-200 calories; This is a quarter cup and nothing more. 11. If you do not exercise, think about how to change that part of your life too. Find out what it is that you like and start practicing little by little: not 20 minutes per day this week and one hour per day the next. Try 20 minutes this week and 22 next time. This is permanent. You will do the rest of your life; Then you have time to reach the goal. Movement is another way to nourish your body, not punish it. Eat and drink what you like, but in a healthy way. Add calories slowly. If you do exercises, you can probably add 200 calories a day without gaining weight. When you reach the goal, keep in mind that maintaining your new weight will require fewer calories than your previous weight; Another good reason to design your diet. The goal is to introduce small, healthier changes that are permanent over time. Do not matrices. Think of the changes as little gifts for your body. Agree! This whole record sounds terrible, but it is necessary. Trying to lose weight without keeping track of what and how much you eat is like trying to save without looking at the prices or knowing what your expenses are. Will you have to keep these records forever? Not at all! Finally, you will retrain to choose healthier meals and more nutritious foods. Say goodbye to unhealthy foods. Please share with friends and let us know if this article helpful to you. Steps to create your diet for weight loss. Thank you.